How to profit on the highly anticipated ridesharing IPOs in 2019 with Uber, Lyft and YayYo? As the top two ridesharing giants get ready to go public, YayYo appears to be the company that might be the best growth pick for investors. The most noteworthy sub-sector within technology witnessing exceptional growth, not just in the US but across the globe, is ride-sharing. Uber and Lyft, the top 2 players are going public soon but, before their public offering, comes the IPO of a relatively smaller but differentiated player within the ride-sharing space – YayYo. The company operates on a vehicle leasing model and works as a trainer and supplier of drivers to Uber and Lyft, making its growth strongly correlated to that of these giants. As the IPOs of each of these ride-sharing companies draw closer, the entire story is expected to generate double-digit revenue multiple valuations, over-subscriptions, and huge listing premiums. Given this landscape, it is interesting to analyze which of these three players would be the best bet for investors. With the largest share of operations among the trifecta, Uber is expected to have a post-IPO valuation greater than some of the largest automobile giants: Fiat, Ford, and General Motors. As of today, it is expected that Goldman Sachs and Morgan Stanley will underwrite the Uber IPO and the expected valuation of the company is a staggering $120 billion. This is about 12 times the company’s expected revenues for 2018 which, should range between $10 billion to $11 billion. This large valuation multiple is anticipated since Uber has a global presence and operates in more than 70 countries. In addition, the top-line growth of Uber and its expansion over the years has been phenomenal explaining why a 12x revenue multiple would be reasonable, given the valuations at that other tech players: Grubhub (NYSE: GRUB), Twitter (NYSE: TWTR), and Facebook (NASDAQ: FB) are trading. It must be noted that Uber is backed by Softbank, Tencent, TPG, Toyota, and other marquee companies. Lyft is much smaller in size as compared to Uber both in revenues as well as market presence; however, Lyft has risen to become the number 2 player in the US in barely 6 years. The company is omnipresent in the US and Canada and has annual revenues of approximately $2 billion. Lyft completed its previous round of funding in June 2018, led by Fidelity Investments and valuing Lyft at $15.1 billion. With a slight premium on this number and a revenue multiple of 9x-10x, which is lower than that of Uber, Lyft could easily see a valuation of between $18 billion to $20 billion. Lyft’s premium is also a result of its rapid growth, coupled with the fact that it controls nearly one third of the US ride-sharing market. Interestingly, the company moved faster than Uber in the race to file for its IPO, with JP Morgan Chase, Credit Suisse, and Jefferies as underwriters. The company has some global giants as its shareholders: KKR, Senator Investment Group, CapitalG, Magna International, and Fidelity Investments. A relatively small player within the space with a differentiated business model, YayYo might end up gaining the most out of this entire race of IPOs. The company is the first mover in terms of the IPO and it does not follow Uber and Lyft’s business models. YayYo’s business model works towards bridging the gap between ride-share drivers and vehicles. 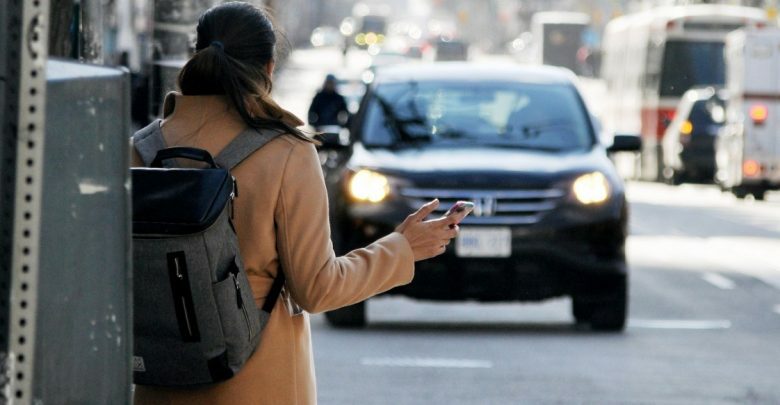 The company owns and maintains its own fleet of vehicles which are rented out to ride-share drivers along with insurance coverage, as well as, an insurance card in the driver’s name. The company also provides training and assistance to new drivers and helps them meet the rigid ride-share requirements of companies like Uber and Lyft. In a way, it can be said that YayYo is more than complimentary to the businesses of Uber and Lyft. YayYo serves more like a trainer and supplier of drivers and vehicles to these giants. As of today, YayYo is not very large in size; however, YayYo caters to a rapidly growing ride-sharing market in the US. Companies like Uber and Lyft are reporting a Y-o-Y revenue growth of more than 50% which, is largely a result of the fact they are able to onboard more and more drivers. With their upcoming IPOs, each of which would include a significant amount of primary capital infusion, it is obvious that these companies would require a large number of drivers in the future, a requirement that can easily be serviced by YayYo. The company has an excellent platform that is user-friendly from the drivers’ perspective and also has a tie-up with Hyundai for the purchase of vehicles that are suitable and meet the requirements of the ride-sharing giants. As of today, YayYo operates about 600 vehicles in Los Angeles, CA with a 98% utilization rate. With the capital infusion through the upcoming IPO, the company will have the capability to add 4000 additional vehicles. Each of these would be expected to provide net revenues of $800 each month to the company, resulting in annualized revenues of around $40 million. It must be noted that the company’s revenues have already grown more than fourfold in a year and with the new fleet, the triple digit growth would command a multiple as high as 25x, resulting in a valuation that is close to $1 billion. The resulting stock price could go up as high as $33 in a short span of time, which is nearly 4 times the price at which the IPO is taking place. This would imply exceptional, multi-bagger returns for subscribers to the IPO. While there is still plenty of time for the Uber and Lyft IPOs, it is virtually certain that the shares of these companies are not going to be cheap in terms of valuation multiples, given the history of their rounds of private funding. Also, their scale and the fact that they are underwritten by some of the top global underwriters implies a huge amount of over subscription and a large allotment favoring institutional investors. The average retail investor might be allotted 100 shares in the end and may end up buying the stocks at a huge listing premium in the open market. The situation would be similar to the listing of Google where the stock was offered for $85 and ended its first day of listing above $100. This entire over-subscription battle could be avoided by investing in a smaller player like YayYo which is less hyped but has an excellent growth potential. Uber’s valuation is expected to skyrocket to around $120 billion while Lyft’s hovers around $20 billion both implying little scope for multiples expansion. Both companies would have to significantly grow revenues and reach a $1 trillion valuation for multi-bagger returns. On the contrary, if a company like YayYo can grow to a valuation similar to Lyft over the next 5 years, it would imply a 7,500% increase from the current levels which is exceptional. YayYo offers an interesting opportunity for investors to cash in on the rapid growth of the ride-sharing sector through investing in a differentiated and unique business model run by an experienced management team. YayYo does not compete with the other big players. Overall, it can be safely concluded that YayYo’s stock is an excellent medium-to-long term bet for aggressive growth investors.